GEELONG: A world record and a hole-in-one marked the opening day of a pioneering golf tournament in Australia Thursday where the men's and women's events are played at the same time. It has been running as a dual male-female event for six years. But the tournament took on added significance this year with the European Tour and the US-based LPGA Tour jointly sanctioning it for the first time, with prize money significantly boosted. 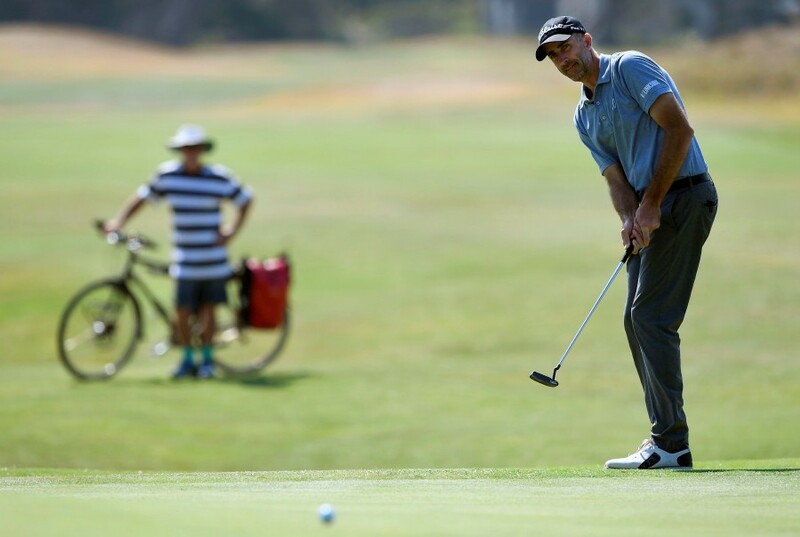 Played at the 13th Beach Golf Links south of Melbourne, local hope Ned Flanagan, a former US amateur champion, shot a 10-under-par 62 — one shy of the course record — for a two shot lead among the men. "Just had one of those days where everything seemed to kind of go right," said Flanagan. On the women's side, England's Felicity Johnson hit a 65, two in front of a group including Australia's Su Oh, who nailed a spectacular hole-in-one at the 149 metre 15th hole. "There was this one guy near the green who said it just trickled in. So I had one guy see it, which was good enough," she said. Reigning British Open champion Georgia Hall hit a 70, while world number seven Minjee Lee could only muster 72. The day was marked by Australia's James Nitties carding a world record-equalling nine birdies in a row. It matched the feat first accomplished by Mark Calcavecchia at the 2009 Canadian Open on the US PGA Tour and was the first time it had officially been achieved on the European Tour. "I'm pumped," said Nitties, the world number 668 who was two shots behind leader Flanagan. "I don't hold any other world records that I know of, so to be a part of one is pretty cool." "People are noticing because of the equal prize money and the LPGA and the guys and girls' thing. That's a big deal," he said. "I think all of us here in Australia have known how great this event is since its conception of equal prize money for men and women," she said. "And the way it's done, too, because a lot of people think, 'Oh, the women will be on one course, the men will be on the other'.